The marinas in Virgin Gorda have facilities to accommodate long-term regulars, transients, mega-yachts and live-aboards. The main yacht harbour on Virgin Gorda is at Spanish Town. There are also mooring buoys here. The fee ($30) is collected by someone visiting the boat. The yacht harbour has a dinghy dock outside the shops and bar. At the end of the dinghy dock there is a small hut where you have to pay 2 dollars a person to use the dock. Never mind how short your stop, you still have to pay. It is also possible to anchor just outside the harbour. The Valley, Virgin Gorda , P.O. Box 1005, Virgin Gorda, BVI. Marina with all facilities, fuel berth, chandlery, laundry, WiFi, provisions, bank, bar and restaurant, dive shop. Max. length 160 feet (50m), max. draft 10 feet (3m). Leverick Bay Marina is open, with water and fuel. This new social retreat for Oil Nut Bay home owners, guests and the North Sound, the much anticipated Marina Village at Oil Nut Bay will open its doors in December 2018. 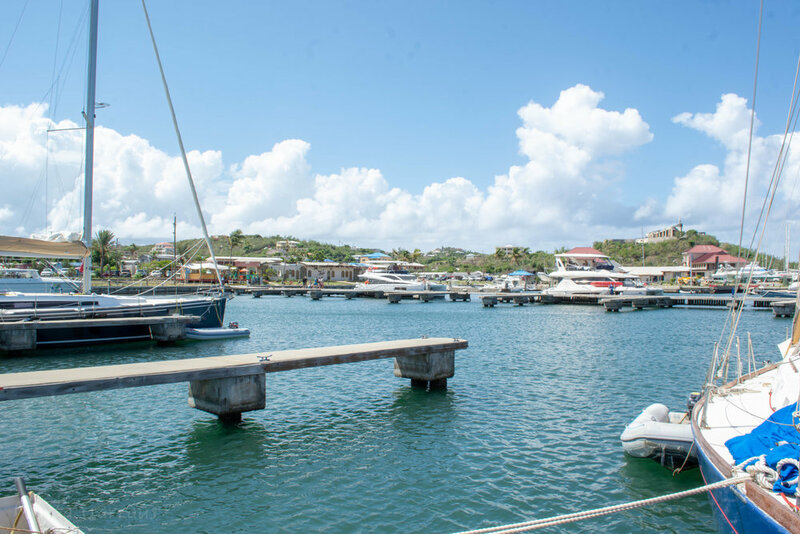 With an eventual 93 berths available and perfectly situated in the natural harbor of Deep Bay, The Marina at Oil Nut Bay offers secure alongside mooring that can accommodate yachts up to 40 meters (130 feet) and a draft of up to 2.4 meters (8 feet). Oil Nut Bay’s Marina Services include Yacht Management that can be customized and tailored to individual needs, along with a dedicated Dock Master providing concierge services and reliable utilities that exceed industry standards. The Marina Village officially opens April 16.